Upcoming: Museum of Contemporary Art Chicago (July 2019). La Medea re-imagines Euripides’ myth into a Latin-disco-pop-feminist variety show. At once an immersive musical and a simulcast film, La Medea is directed, performed, shot, and edited in real time creating a high-stakes vulnerability for cast, crew, and audiences alike. Performers and camera women play the characters, while studio audiences act as the Greek chorus and film extras. The pervasive figure of the wild foreign woman who vengefully murders her own children is shattered in this genre-bending multidimensional dismantling of an ongoing toxic myth. Challenging the idea of a “dangerous,” “hysterical,” foreign woman, La Medea reveals an infinite woman that rejects the limited gaze imposed on her for centuries. Written, directed, and choreographed by Yara Travieso (co-producer). Original music and libretto by Sam Crawford. Set designs by Brookhart Jonquil. Costume designs by Sue Julien. Lighting design by Tuce Yasak. Director of photography, Pamela Giaroli. Assistant Director and Camera Operator, Liz Charky. Original illustrations and Mask Design by Ryan Hartley Smith. Starring, Shayla Vie Jenkins or Rena Butler (double cast). Featuring, Catherine Correa, Tiffany Mellard, Erick Montes, Sol Koeraus or Niurca Marquez (double cast). Music performed by Jason And The Argonauts (5 piece band) Featuring: Vocals, Guitar: Liz de Lise, Vocals, Guitar: Zeb Gould, Reeds: Jeff Hudgins, Percussion: Timothy Quigley, Bass, Moog Bass Synth: Ian Riggs, Trumpet, Bass: Anthony Mascorro, Percussion, Arthur Solari (double cast). 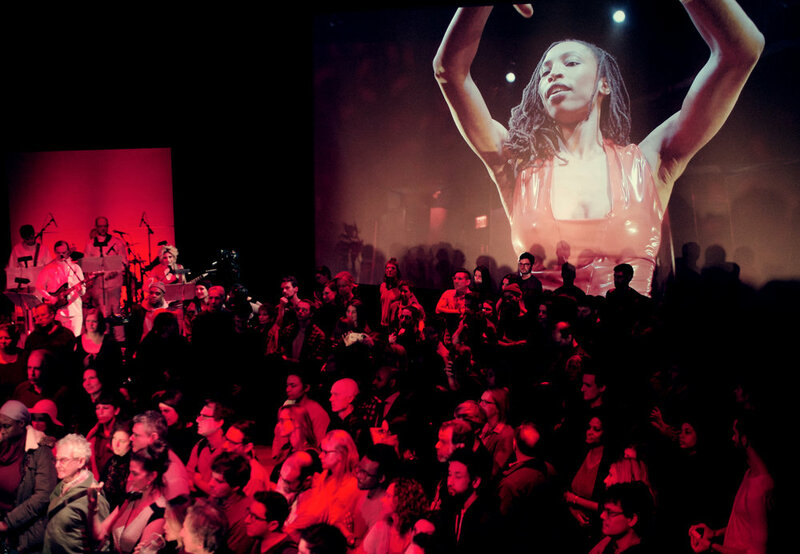 La Medea is a Creative Capital production, commissioned by Performance Space NY in partnership with BRIC Arts Media House, Dance Films Association and AbelCine. For touring and booking inquiries please contact Brighid Greene at Studio@yaratravieso.com.